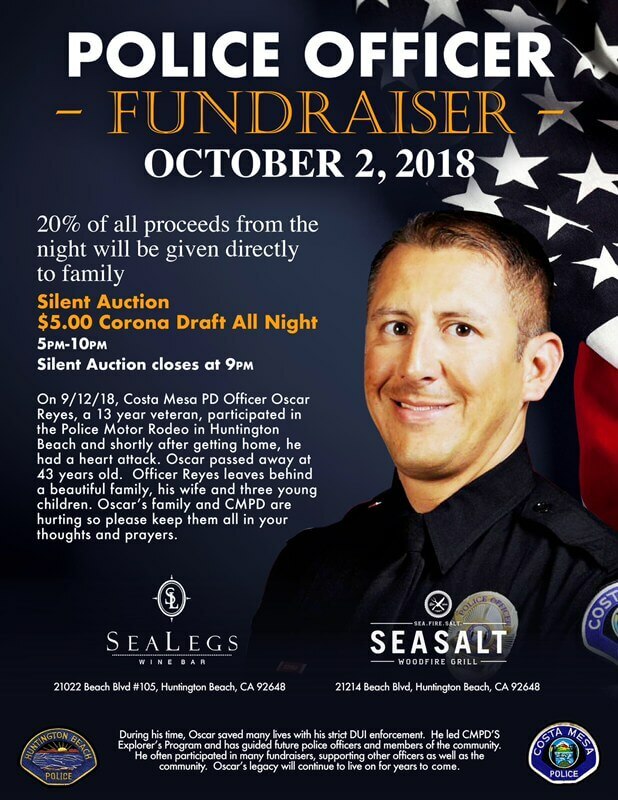 Alicia Whitney, owner, of SeaSalt Woodfire Grill and Sea Legs Wine Bar is graciously hosting a fundraiser on Tuesday October 2, 2018 with 20 percent of all proceeds to go to the Reyes family. The fundraiser will be held at both restaurant locations in Huntington Beach between 5:00 and 10:00 pm. For addresses and further information, refer to the attachment or below. Please feel free to distribute information to family and friends. I hope to see you all there!